We have more than just one firm grip on all your varied warehousing needs, from offloading, recording, storing and retrieving to the management and picking, packaging and labelling. Exactly according to your wishes and order. Our warehousing capabilities in border areas are ideal for EU-storage for Switzerland or the entire EU. What could be better than getting your goods to foreign markets within 24 hours through a direct connection? 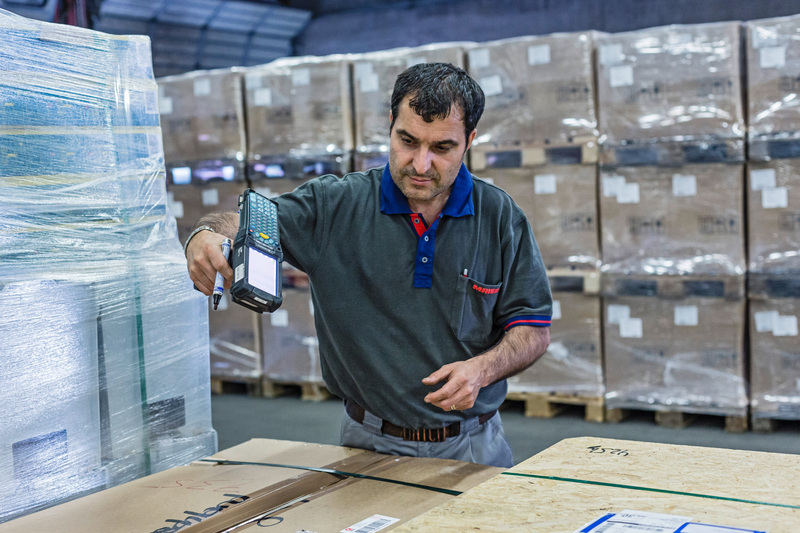 We use a lot of technology in our warehouses: cranes, forklifts, scanners, software, phablets. However, it is our qualified staff out on the roads that ultimately deliver your goods - with a great deal of care and even more experience.